You are here: Home » Defensive Driving Blog » It’s Official – No Texting and Driving in Texas! Posted in Defensive Driving Blog | Comments Off on It’s Official – No Texting and Driving in Texas! Texas becomes one of the last states to adopt a ban on texting and driving. It is something that has been in the works since 2011 and was passed but vetoed by then Governor Rick Perry. A number of Texas cities have adopted their own texting and driving laws. This state law will cover only texting and will prohibit a driver from using hand held devices to “read, write or send electronic messages.” It goes into effect Sept. 1, 2017. But it may change before that time. Governor Greg Abbott, who signed House Bill 62 into law, has called a special session on July 18 to further work on the ban because it did not meet all of his expectations. Of most concern to him is that the law needs to pre-empt any city laws already in place regulating mobile devices. He would like the laws to be consistent state wide. This would greatly impact at least 45 Texas cities, including El Paso, San Antonio, Denton and Austin, whose laws are currently stricter. This law makes texting while driving within the state punishable by a fine of $25-$99 for 1st offenders and $100-$200 for repeat offenders. It does not address “hands-free” issues that are outlined in some city laws. Texas does forbid cell phone use in school zones and by bus drivers. 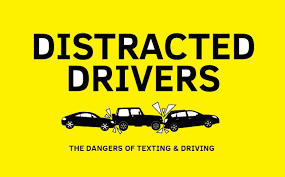 In 2014, 3,179 people in the U.S. were killed due to distracted driving, with 431,000 injured. The prime culprit to distracted driving these days is cell phone use. 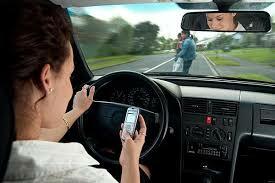 It is estimated that texting while driving makes a car accident 23 times more likely to happen. This is a good ban and a necessary one. Texans will be safer if we will embrace these rules. And when the rules of the road need to be reviewed, just log into Wirelessdefensivedriving.com.